Ding Hu, a retired Chinese Central Security Bureau officer suffering from dementia, struggles to protect a little girl from triad vendetta. 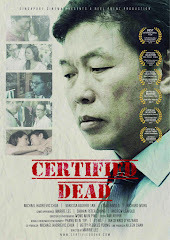 Sammo Hung plays the lead role, Ding, very believably, as the overweight and deceptively sluggish retired officer. Ding goes through his day in his usual routine, only punctuated by a little girl who sneaks into his house for sanctuary whenever she has a quarrel with her dad. The relationship is likened to be one between a grandpa and granddaughter, and hence the Chinese title which translates to something like, "Special Agent Grandpa". Though overweight and old, Ding springs into astonishing agility as he defeats the gangsters in brutal knife attacks and gang clashes. This was delivered with extremely elegant action choreography and camera work, using extensive mid shots to bridge the rapid actions. It is said that Jackie Chan was supposed to play the role of Ding, but at that time was too busy attending to his son's brush with the law for drug abuse. 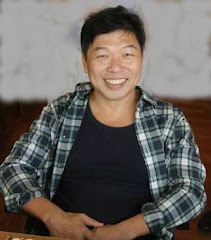 While I think Jackie would have delivered the action sequence well, I feel that Sammo has given the character the added vulnerability of an old man who has lost his hope in life and resigned to witnessing his own memory eroding away. The main location was shot in Suifenhe, a riverside trading town in Heilongjiang, along the border of Russia and China; with some scenes shot in Vladivostok. The exoticism of the small town (population around 100,000) was adequately captured with the many beautiful aerial and crane shots. The granddaughter Cherry, is brilliantly played by a lively 13-year old Jacqueline Chan, who despite her young age, has already appeared in seven other feature films. In the story, Cherry breaks Ding's mundane life and brings joy to him by sneaking into his house, chatting with him, and taking those long walks and fishing excursions - what many grandfathers can easily relate to. 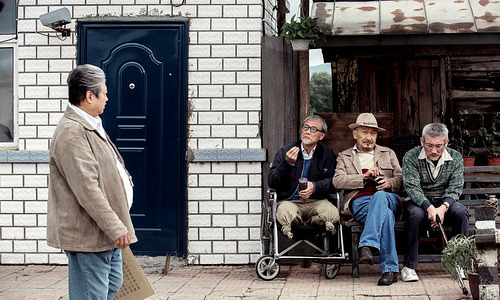 There are several big names of the past making their cameo appearances, like Karl Mak, Shek Tin and Tsui Hark, who play the role of the three old men by the railway station watching the world pass by amid their idle banter. That not out of place at all if shown in a British skit like The Benny Hill Show, had they spoken English. There are also newer big names, like Eddie Peng, providing eye-candy to the female fans and younger crowd. I suppose big names do boost box-offices, though I think just the engaging plot, touching moments and the great delivery by the lead actors are more than enough to hold the audience for the entire length of the film. The producers, among them, Andy Lau, probably thinks it is no harm playing it safer adding those big names. Why not, when you can afford them? 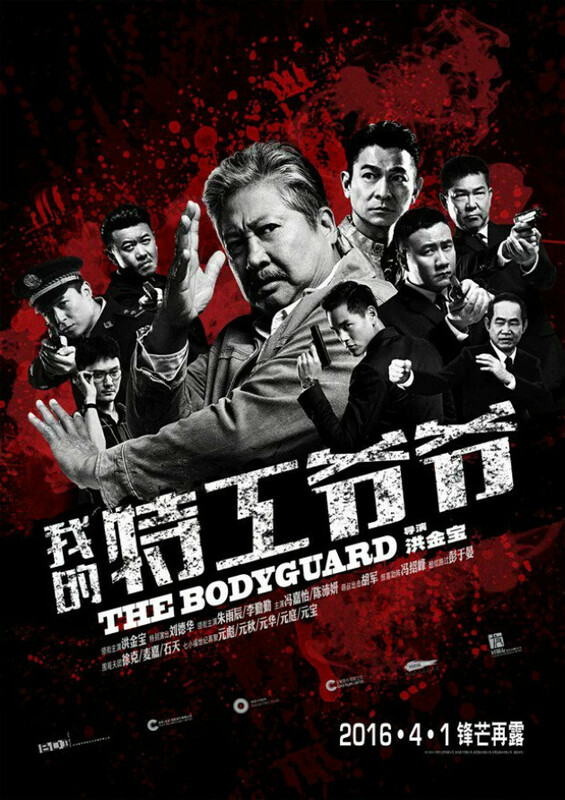 The Bodyguard combines both drama and action, amid the exotic northern border cultures of Russia and China. The story eventually wraps up very cleanly with all the bad guys killed in gang clashes or arrested by the dutiful and efficient Chinese police force. That probably to appease the Chinese authorities to allow them to produce a movie with the background of organised crime. It is said that dementia hits those who have such deep sorrows in their life that they strive to forget. This appears to be the case for Ding with the several milestones in his life that he would rather had happened differently. This is some food for thought. This movie is both entertaining and inspiring. The inspiring part is a surprise coming from an action movie. It is also a reminder to some in the audience who ought to be choosing the healthier route of letting go of the past and to start living again. 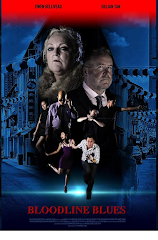 For my other film reviews, click here.